“A man too busy to take care of his health is like a mechanic too busy to take care of his tools”, (Spanish proverb). Life today is like a machine. Your productivity is high only until you have a fit and healthy body. With the entire hectic schedule we follow, stress and hypertension are like gifts of hard work. So if you ignore your body, keeping up good health becomes a task and in today’s date, we cannot afford to get into some serious sickness. 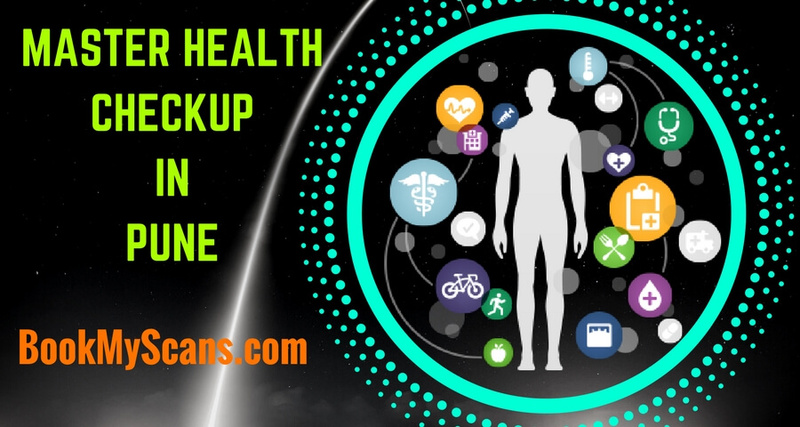 Master Health check-up Package is the best step you can take to keep a track of the changes happening to your body and take the required action to keep yourself healthy. Pune is a beautiful city in Maharashtra. Being the cultural capital of Maharashtra, Pune is also known as the “Oxford of the East” due to the presence of several well-known educational institutions in the city. The city also has a well established industrial belt with many manufacturing and automobile industries, as well as research institutes of information technology (IT). The state-of-the-art education system with management and training institutes attracts students, and professionals from India, South East Asia, the Middle East and Africa. Pune is one of the fastest growing cities in Asia-Pacific and is ranked one of the best cities to live in. Apart from students, Pune has managed to attract many working professionals as well. With all the urbanization and modernization the city faces today, the air in the city is getting more polluted. The growing number of industries and vehicles are the major reason behind the level of pollution the city faces. The city also faces the problem of growing migrants which is increasing the number of people residing in slums. With the changing lifestyle, eating habits and a patter of work, which is more of sitting and less of physical activities involved, have increased the risk of factors of the non-communicable lifestyle diseases that may target a larger proportion of the population. 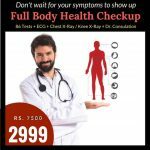 For Living in Pune best areas are Pimpri Chinchwad, Kalyani Nagar, Wagholi, Kothrud, Hadapsar, Wakad, and Viman Nagar where we are health checkup centers for Health checkup package. As in other regions of India, Pune also has a mix of a Private and Public healthcare system. Primary care in the city still remains the traditional medicine i.e. Ayurved, Homeopathy, and Unani. According to the “Patient’s Voice, Citizens Initiative Campaign”, started by the Jan Arogya Abhiyan state that “the people from all walks of life are dissatisfied with current health options and they strongly seek reforms in the healthcare system.” People have shown concerns in regards to the poor quality of care in public hospitals, unrestrained commercialization of healthcare, unindicted surgeries, unindicted investigations, prescribing costly medicines, cut practice, huge and unjustifiable profiteering in stents. According to the survey and the voting that took place, people of Pune requested in bringing private hospitals under the regulatory framework, the government should take concrete measures to improve quality of care in public hospitals and people demanded enactment of legislation to protect patients’ rights. Healthcare these days is an expensive task and affordability of these services has become very difficult. Pune is the second largest city in Maharashtra and is home for more than 5.9 million people. There is a rapid growth in the city that is clearly visible and the city is developing in a fast pace. The main city of Pune has absorbed nearly 38 villages to extend the existing city limits. People of Pune face similar challenges of shortage of basic necessities of place to stay, food and water along with high pollution levels and unhealthy environment and lack of sanitation like any other metro cities of India. The burden of diseases is also very similar with many chronic diseases taking away lives in the city. There is a huge prevalence of lifestyle diseases like coronary heart diseases, diabetes, COPD, cancer and chronic kidney and liver diseases in the city. Majority of the deaths in the city occur due to non-communicable diseases. The city sees a devastating number of lifestyle diseases taking a troll. More than 45% of the deaths are attributed to heart disease. Dietary risks, high blood pressure, malnutrition and air pollution are considered to be the major risk factors that caused most of the deaths in Pune (2016). A contribution of air pollution was recorded as 8.6% which contributed to the burden of cardiovascular and chronic respiratory diseases and lower respiratory infections. 5% of deaths occurred due to COPD and other respiratory diseases like asthma, pneumonia and lower respiratory infections. Ischaemic heart disease, chronic obstructive pulmonary disease, stroke, iron-deficiency anemia were recorded as the leading causes of death and diseases in Pune. Around 50% of cancer cases were registered in Pune in recent years. Apart from this Diabetes is on a rise and more than 40% of the population is diagnosed with diabetes in Pune. 24.8% women and 13.8% men are associated with chronic kidney disease (CKD) and more than 83% people are obese in Pune. More than 50% were diagnosed with hypertension. With the increasing numbers of high cholesterol, obesity and hypertension, Pune reports more than 10,000 cases of stroke every year. Children of Pune are also affected by NCDs. A survey that was conducted in terms of health of children in the age group 4 – 16 showed that 1 out of every 8 children in Pune is at the risk of developing lifestyle or metabolic diseases in adulthood. This was basically due to obesity and being overweight which increased the risk of developing lifestyle or metabolic diseases such as diabetes and cardiac complications in future. How can we prevent Chronic lifestyle diseases with full body/Master Health Check-ups? Toxic elements, vitamins, and electrolytes tests help in diagnosing the elementary level in the body. The elements such as oxygen, carbon, hydrogen, nitrogen, calcium, and phosphorus, potassium, sulfur, sodium, chlorine, and magnesium are also analyzed. Any increase in the values of these elements can prove to be toxic to the body. The 8 lipid profile test assesses your total cholesterol, triglyceride, HDL-C, and LDL-C. This provides information about the fatty content in the blood and helps detect diseases like high blood pressure, blocked arteries that lead to stroke. The 3 thyroid test measures the hormone level of T3, T4, and total TSH values. The thyroid gland is a very small organ but yet plays a very important role in regulating the body’s hormonal condition. Diabetes check is very common test but a very important one as well. This test calculates the blood sugar level in your body. During this test includes, Fasting, Random or post-prandia (PP) and Hb1Ac (calculates an average of 3 months of blood sugar level in the body) that helps doctors in deciding if you are diabetic or pre-diabetic. The tests like ECG, Chest X-Ray, TMT, USG Abdomen and PFT help in fetching images of the organs, tissues and muscles that easily help in detecting any tumors or cancers in the different parts of the body. Symptoms of different diseases show up at different levels and also differ person to person. Hence, it is always better to be preventive than curative. How can BookMyScans help you get better health? Bookmyscans is a one-stop destination for all your diagnostic needs in Pune. We offer different packages that are designed specifically to diagnose and detect chronic diseases and NCDs at the earliest. 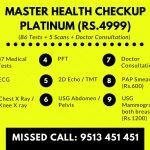 The cost of master health check-ups in Pune is around INR 4,000 and may go up to INR 18,000. But with bookmyscans, you can book your master health check-up at your choice of diagnostic center, nearest to you starting just @ INR 1,999. There are many reasons why you should choose Bookmyscan for your diagnostic needs. Few of these many reasons are that we are user-friendly and easily accessible and help you find the best quality scan center near you. We send timely reminders through SMS and emails. We continuously track the patient records and generate reports online reducing the paperwork. We work for 365 days 24/7 to provide assistance to the patients conveniently. All our appointments are confirmed and therefore we help in reducing the waiting time which in turn helps increases the patient inflow. We also have an option that allows the patients to download reports from online anytime required. We are also cost-effective as our main motto stands at providing quality healthcare services at affordable prices to the public. We partner only with centers that are approved by AERB and certified by ISO and NABL. Our partners are periodically audited to make sure they are delivering the best quality results and maintaining the quality consistency. We also provide a home collection of samples service for the aged community who cannot make it to the center. We have served more than 1 Lakh customers so far and they have been able to save more than 1.2 crores on the treatment costs of the diseases that could not be diagnosed early. Lastly, we provide an assured discount on Health packages in Pune.